Image Credit: Love is Love anthology cover by Elsa Charretier. 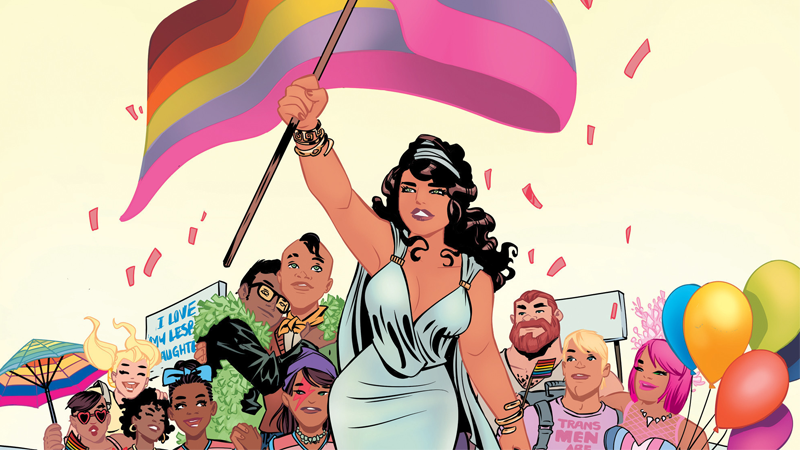 The 28th annual GLAAD awards highlighting the representation of LGBTQ community in media have been announced this morning, and it’s a strong year for genre nominations, especially in comics, with 10 series from the past year earning recognition That’s five more comics nominated than last year, a welcome indication that comics are improving in this regard. Genre properties in other categories include Star Trek Beyond as one of the two nominees in the Outstanding Film (Wide Release) category, Supergirl, Shadowhunters, Orphan Black, The OA, and Wynonna Earp scoring nominations in Outstanding Drama, and Steven Universe landing a nomination for Outstanding Comedy Series. It’s a fantastic list, covering LGBTQ characters across the spectrum, and made up of some damn fine comics to boot. As the comics industry continues to slowly but surely improve its LGBTQ representation, it’s great to see excellent series like these leading the charge and getting recognized for it. You can see the full list of GLAAD award nominees over at GLAAD’s website.